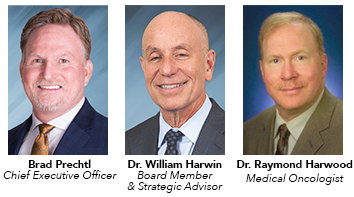 Fort Myers, FL – April 1, 2019… American Oncology Network, LLC (AON) is pleased to announce that Hematology Oncology of Indiana, PC (HOI), a leading community oncology/hematology practice in Indianapolis, Indiana, will join AON on May 1, 2019. AON is an alliance of physicians and veteran healthcare leaders uniting to ensure the long-term success of community oncology. HOI has six locations, including two offices in metropolitan Indianapolis, and auxiliary offices in Logansport, Lebanon, Noblesville, and Fishers, IN. With the upcoming AON affiliation, the practice will increase its current service offerings to their patients with enhanced technology, an expanded oral oncolytic outpatient pharmacy and enhanced care management services. With a determination to help every American receive access to exceptional cancer care, AON was founded by well-respected leaders in community oncology with decades of experience helping oncology practices to thrive by providing proven solutions.